This last week, there were lots of touching tributes to Michael Bond, creator of Paddington Bear (among many other childhood favourites). 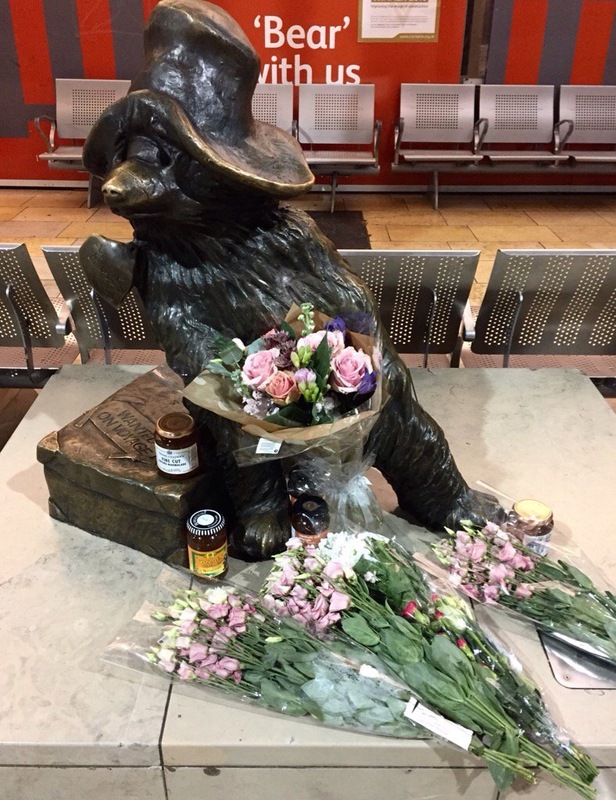 As well as the beautiful bronze statue of Paddington in Paddington Station which became an impromptu shrine, Twitter and other social media sites were filled with affection and sadness. There was a little flurry of photos of people’s own Paddington Bears being comforted by their other bears, with the poignant caption “We’re sorry for your loss, Paddington. We will look after you.”…a reference to the label around Paddington’s neck. The same sort of outpouring happened when Sir Terry Pratchett died. Some clever fan set up a petition to Death to bring the author back (sans his Alzheimer’s). It wasn’t intended to be successful, of course. It was intended to allow his fans a way of expressing their grief in a way that we all knew he would have appreciated (and found funny). If a public figure has captured the public’s imagination in any sphere, it is natural for us to feel sadness and grief at their loss, even if we never knew them personally. And this phenomenon isn’t new. Think of the mass grief that met the deaths of Rudolph Valentino, or Horatio Nelson, or Princess Diana. If a celebrity and/or their work has struck a chord with us, the reality is that we do know a part of them. They have connected with us. When they die it is natural to grieve the loss of that connection…and the possibility of more connections that might have been. RIP Mr Bond. We will look after your bear.